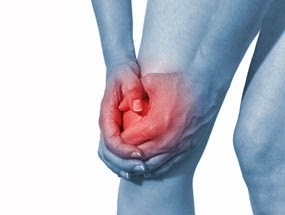 Knee replacement surgery is the most common joint replacement procedure. 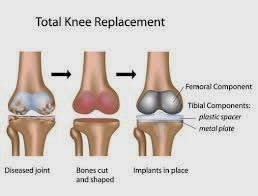 The knee replacement is done in both ways - total replacement or partial replacement. The surgery is done in such a way that the metal or plastic components are placed instead of damaged joints. There are several medical conditions that may lead to the need of knee replacement , and arthritis is the most common among them. Genetics, developmental abnormalities, some form of injury and obesity are the other contributing factors. Patients who have tried and failed the non-surgical means to get respite from knee pain such as weight loss, lifestyle modifications, anti-inflammatory medicines or cortisone injections, all to no avail, can greatly benefit from knee replacement surgery. Knee replacement surgery (also known as total knee joint arthroplasty) is usually undertaken when knee problems associated with osteoarthritis and rheumatoid arthritis have resulted in the wearing down of the knee joint. In a total knee replacement operation, a surgeon cuts away damaged bone and cartilage from the thighbone, shinbone and kneecap, and replaces it with an artificial joint (knee prosthesis) made of metal alloys, plastics or polymers. Knee replacement surgery is one of the safest surgeries of its kind, and has a 90 to 95% success rate. Dr. Raju Easwaran, one of the Best Knee Replacement Surgeon offers the Knee Replacement surgery in India at highly reduced costs as compared to the Western Countries.